This is my card for the TGF CHA relay. 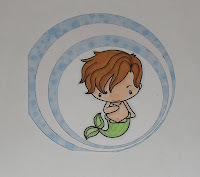 It is a free digi stamp called mer_ian. Hopefully I will be in time to continue this challenge. I found the link on Lorraine's blog.